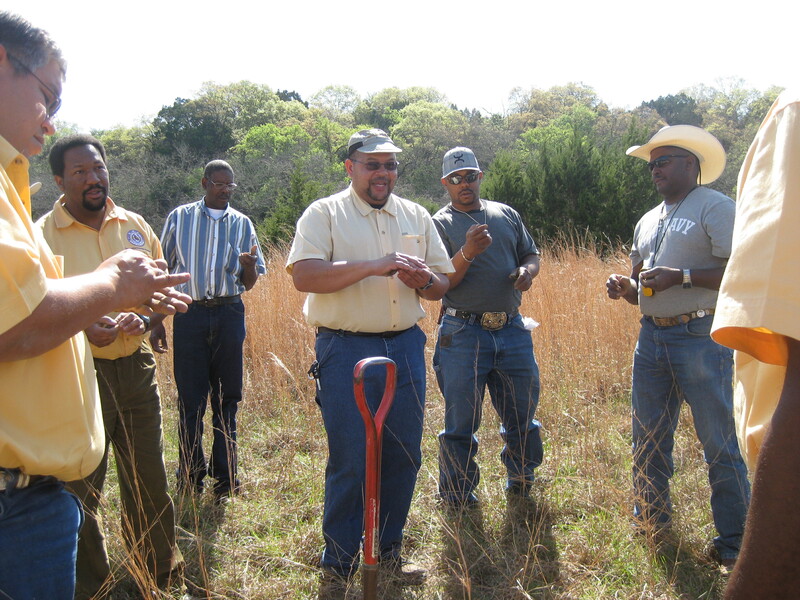 PRAIRIE VIEW, TX – Positively Impacting People in Uncertain Times was the focus of the 2011 Cooperative Extension Program state training conference held in Austin, Texas, March 21-25. Extension specialists, administrative, support and clerical staffs as well as county agents located in the program’s 24 counties across the state attended workshops and general sessions to enhance their program development skills in targeted areas. Administrative staff from Texas AgriLife Extension also attended the conference. Dr. Richard Griffin, interim research director, center, explains different types of soil samples to conference participants in the Agriculture & Natural Resources workshop. “The limited resource clientele that we serve already face hardships, and with today’s economic challenges, it is crucial that we keep our Extension agents and specialists prepared with information to help families, youth, community residents and small farm and ranch producers continue to survive and thrive,” said Dr. Carolyn Nobles, interim associate administrator and program leader – Family and Consumer Sciences, Cooperative Extension Program. The conference started with an inspirational message from motivational speaker Christopher Williams, a Prairie View A&M graduate and CEO of CLW Enterprises. 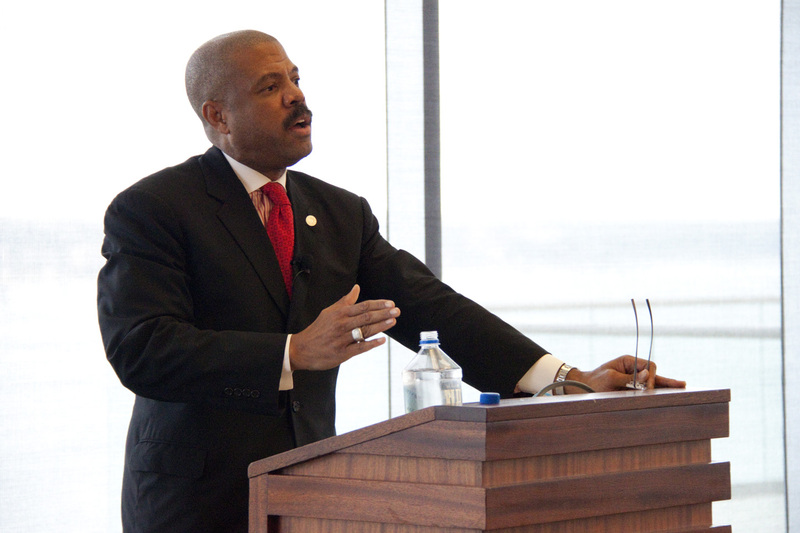 Williams’ topic was Manifesting your Greatness: Showing up and Making a Difference. Williams encouraged the staff to know their mission and purpose. “Stay in your lane, sharpen and perfect your skills and keep reaching for your goals,” said Williams. Another speaker at the conference was State Representative, Borris Miles, Texas House of Representatives, District 146. Miles, a member of the House Agriculture and Livestock Committee, said his focus was on nutrition and encouraged the staff to be strategic in their programming. Miles said that he is committed to form partnerships and seek resources to get the job done. State Representative Borris Miles addresses audience. To help staff stay abreast and in tune with social media marketing, LaRachelle Smith, Cooperative Extension web content associate and State Conference co-chair, explained that a mix of traditional marketing and social media marketing is necessary to effectively market Extension programs. Smith said that social media marketing helps an organization build credibility, build a network of influence, deliver customer service and participate in conversations about the agency’s brand. Smith also discussed the popular platforms used in social media, including LinkedIn, Facebook, YouTube, Flickr, Twitter and Blogs. Staff also received training in hosting webinars. Dr. Paul Johnson, research specialist, Cooperative Agricultural Research Center, PVAMU, led participants through a series of steps in how to set up a webinar. “We had the opportunity to utilize technology to extend training through two webinars at this year’s conference, “said Dr. Nobles. Dr. Deborah Sheely, assistant director, National Institute of Food and Agriculture (NIFA), Institute of Food Production and Sustainability, participated in the conference via a webinar and shared various grant and proposal opportunities available from that agency. Conference attendees also participated in a customer service webinar. “To fulfill our civil rights training requirements, two representatives from NIFA, Nancy Corely and Norman Pruitt led staff in interactive scenarios to help them identify audiences to recruit for relevant county programming initiatives,” said Nobles. Other trainings at the Extension State Conference involved social style awareness, professional development opportunities, future plans for 4-H in Texas, programming to meet NIFA goals and specific subject matter area workshops. “We also heard some endearing testimonies from two Travis County individuals who have benefited from the work that Cooperative Extension agents provide in the areas of starting a business and maintaining a healthy lifestyle,” Nobles said. The highlight of the conference was the awards banquet where guest speaker, Toni Tipton-Martin, a culinary journalist and founder/director of the SANDE Youth Project, talked about Breaking the Jemima Code: A Modern Look into the Recipe Files of America’s Great Cooks. Her topic focused on the rich culinary heritage of African Americans. The following staff received awards and recognition of service. 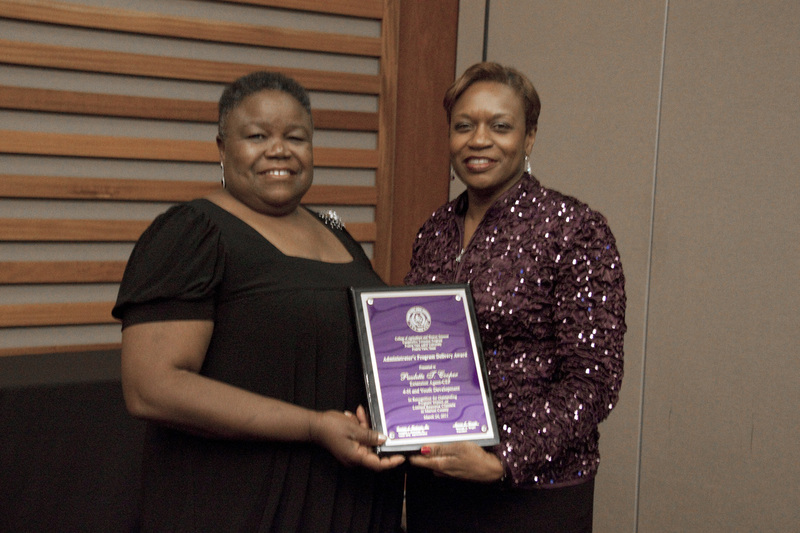 Dr. Carolyn Nobles, left, presents Administrator's Program Delivery Award - Program Aide Category, to Mrs. Barbara Williams, program aide - Family & Consumer Sciences in Harris County. Dr. Carolyn Nobles, left, presents Administrator's Program Delivery Award - Extension Agent Category, to Mrs. Paulette Cooper, Extension Agent - 4-H & Youth in Marion County. 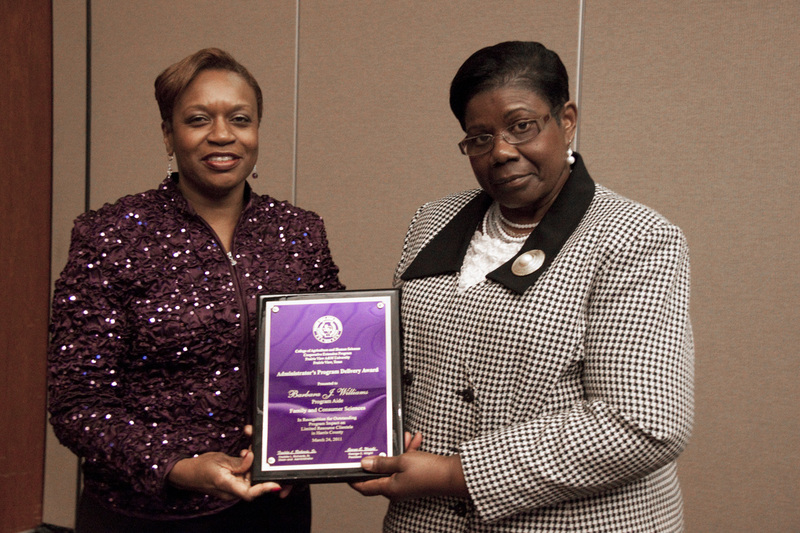 For more information about the 2011 Cooperative Extension Training Conference, contact Dr. Nobles at cnobles@ag.tamu.edu or conference co-chairs, LaRachelle Smith, lssmith@pvamu.edu and Jimmy Henry, interim Economic Development coordinator, jhenry@ag.tamu.edu. Interested persons can also visit pvcep.pvamu.edu. This entry was posted on Tuesday, April 12th, 2011 at 7:28 pm and is filed under Uncategorized. You can follow any responses to this entry through the RSS 2.0 feed. You can leave a response, or trackback from your own site. info to your while. Thanks and all the best ..